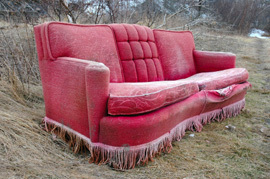 PhillyJunk will come to your home or apartment and handle your junk removal needs. We’ll remove old furniture, wooden & metal sheds, couches & sofas, garage cleanouts, basement cleanouts, estate cleanouts, house cleanouts, got junk removals, we’ll even remove pianos, all at an affordable price. No job is too big or too small for us. We will bag, remove, load and haul away everything you want removed, right where it sits, then sweep up! 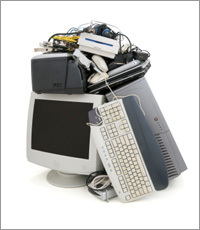 We believe “one man’s junk is another’s treasure.” Before we throw your junk out, we determine if it still has some life left in it, and we try to find new homes for your unwanted items. • Need help with an estate cleanout? We help families dispose of virtually everything so the house or apartment is ready to put on the market sooner. • Are you looking for a clean basement or garage? We’re ready to haul away the stuff you don’t need anymore to make your space more efficient. • Are you moving? If you got junk we’ll be glad to help make your house cleanout job easier. • Did you buy investment property that needs a cleanout ? PhillyJunk is the best junk removal company to call. • All employees undergo a training program to learn safe handling techniques so there’s no accidental damage to your home or property while we’re on site. • All employees must submit to a criminal background check and a drugs and alcohol check. • All employees must have safe driving records because we’re in and out of residential neighborhoods every day. While PhillyJunk charges for our debris pick-up, we try to donate useful items to local charities, community groups and needy individuals whenever possible. We care about our community and the future of the planet and are eager to do our part whenever we can. Let’s say you’ve contracted us for washer removal or freezer removal. If there are local shelters or co-ops nearby, or a specific family in need, we’ll deliver your items there. We pay for the fuel and labor to transport items to various locations to donate. That is something we believe everyone wins. We’re on call 14 hours a day, 6 days a week. For a complete list of counties & towns served Click Here. Still not sure about something? Click here and see if it’s addressed in our Frequently Asked Questions (FAQs) link. Our professional, considerate drivers will be in PhillyJunk uniforms when they arrive at your site. From the get-go, they will offer outstanding junk removal service. They’re fully insured and have been extensively trained in safety procedures, so no worries for you. Just show them what you want cleared away, and they’ll take it from there – and they’ll clean up after themselves before leaving. In most cases, they’ll be done in under an hour, depending on how much stuff you have. "I was pleased with the service. The guys were professional, quick and efficient. I would highly recommend Philly Junk to anyone who needs to get rid of heavy duty trash in their home. Their prices were affordable and I would definitely use them again. Thank you guys!" "Thanks for coming out and getting that beast of a hot tub off the patio. You guys were awesome and I will recommend you to friends and families." "You did a wonderful job. I am so excited to have the junk gone and the space to get organized!" "I am thoroughly satisfied with your work." "You guys were great! Thanks again." "My staff (and I) noted the professional quality of the service." Everyone has junk, including PhillyJunk! Some of our junk is a list of junk.